Proceeds allow Project GRACE to help our neighbors. 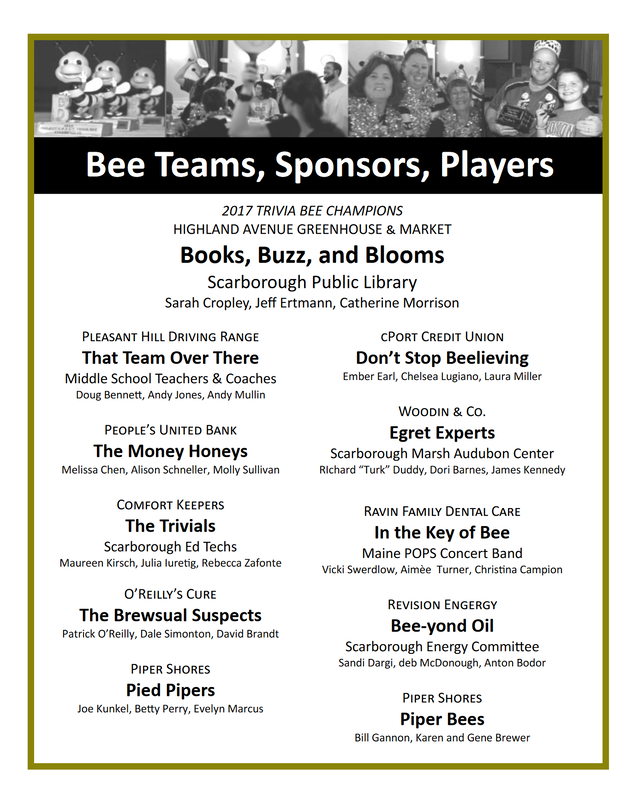 The 2019 Bee, our 12th Annual, will be on Thursday, October 24th 2019. 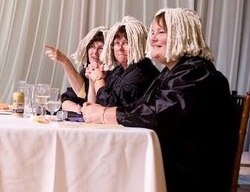 You won't want to miss Scarborough's funniest fundraiser -- reserve your team's spot early! The evening includes the grooving smooth sounds of local crooners, Carlo, Vinnie, and Paul, offering tributes to the standards. 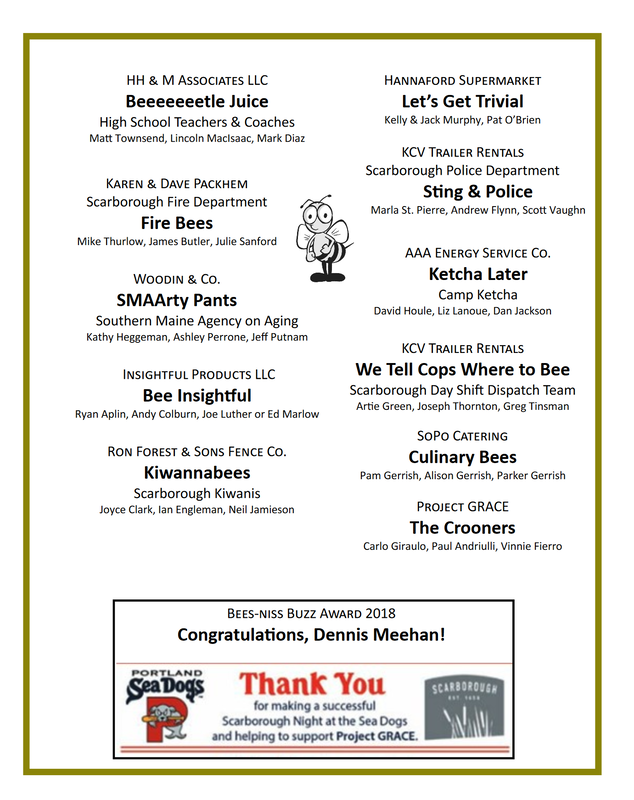 Plus there are games and prizes hosted by Biddeford Savings. Catered treats and cash bar by SoPo Catering. 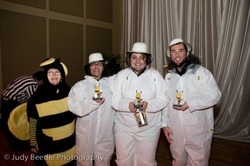 Who will 'bee' the smartest team in town?! Find out, October 25th! BEE A PART OF THE FUN!